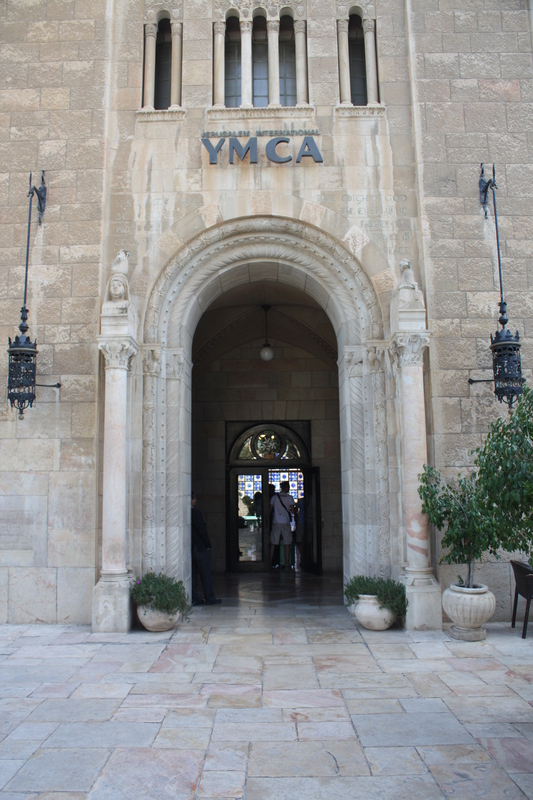 So said Lord Allenby, referring to the YMCA Jerusalem, on the occasion of its opening 70 years ago in April 1933. 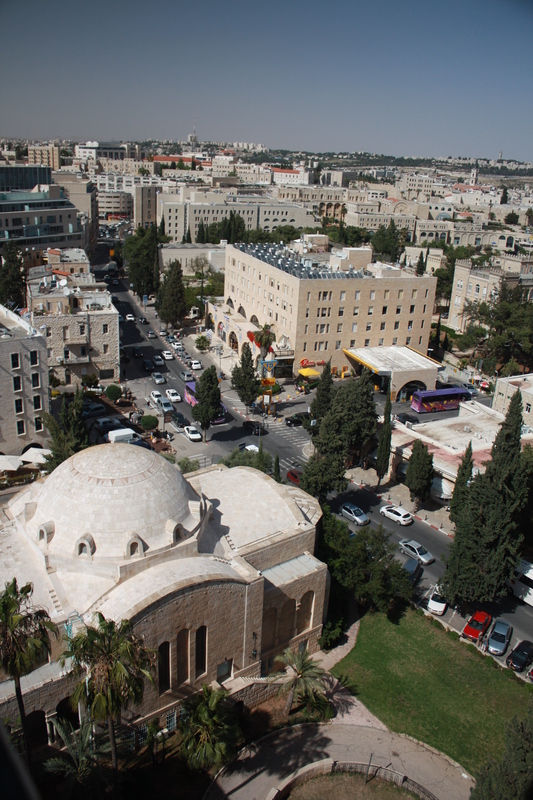 The building, built during the British Mandate of Palestine, was intended as a symbolic monument to peace and coexistence between the three monotheistic religions (Christianity, Judaism and Islam) that are so strongly associated with Jerusalem. 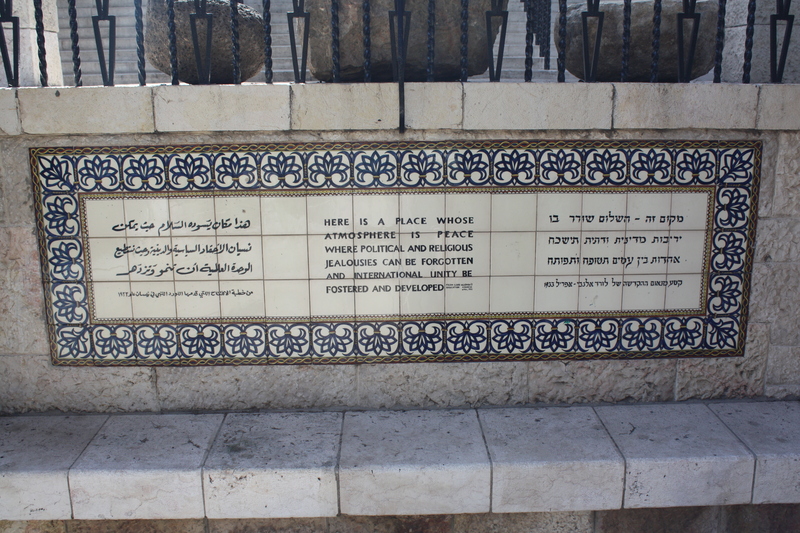 (So the Peres Peace House is not the first building to be built in the name of peace in these lands.) Believe it or not, this YMCA was designed by Arthur Louis Harmon, the same architect who designed the Empire State Building in New York! 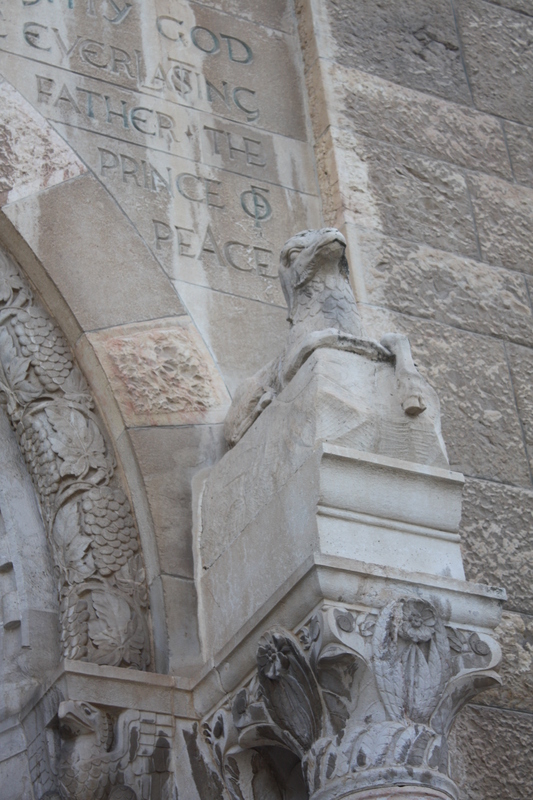 It seems that every last detail of the building is laden with deep symbolism. 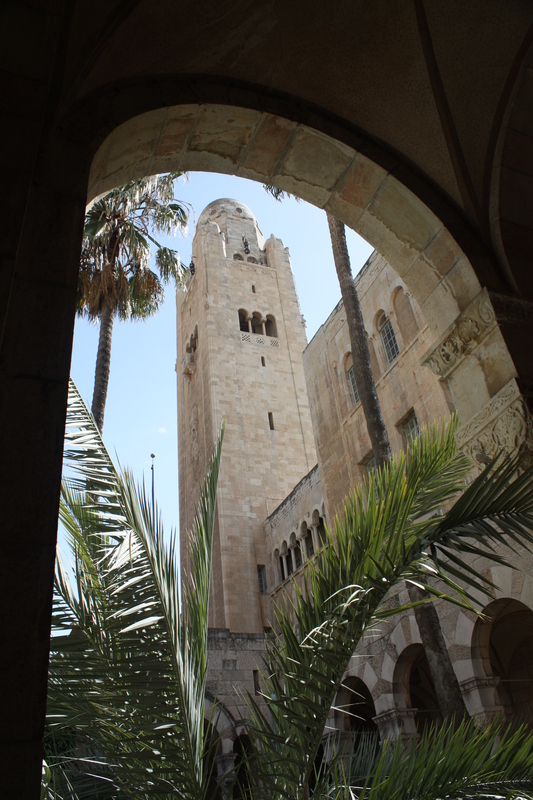 Harmon sought to embody the visionary intentions of his client by incorporating an amalgamation of Byzantine, Romanesque, Gothic and neo-Moorish architecture in his design, to represent the three religions. And he had a lot of fun with numbers, too. 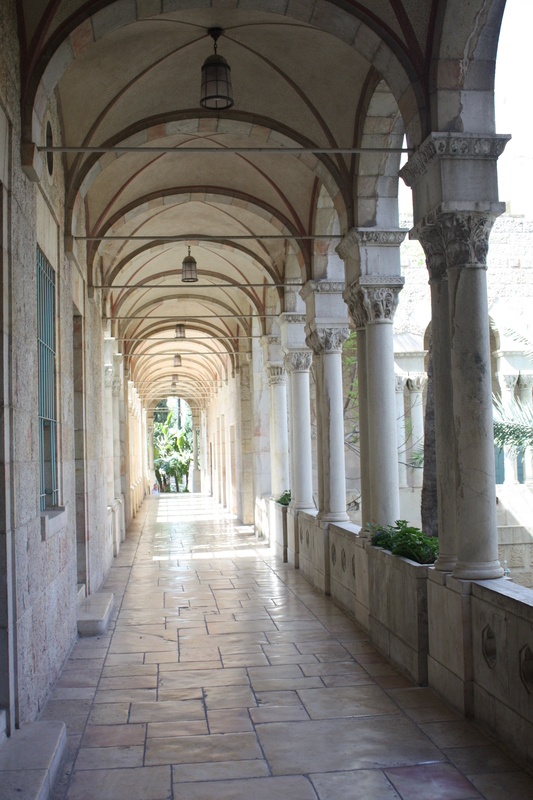 The 40 columns around the ground floor arcade represent not only the 40 years spent by Jews in the desert but also the 40 days of temptation of Jesus. 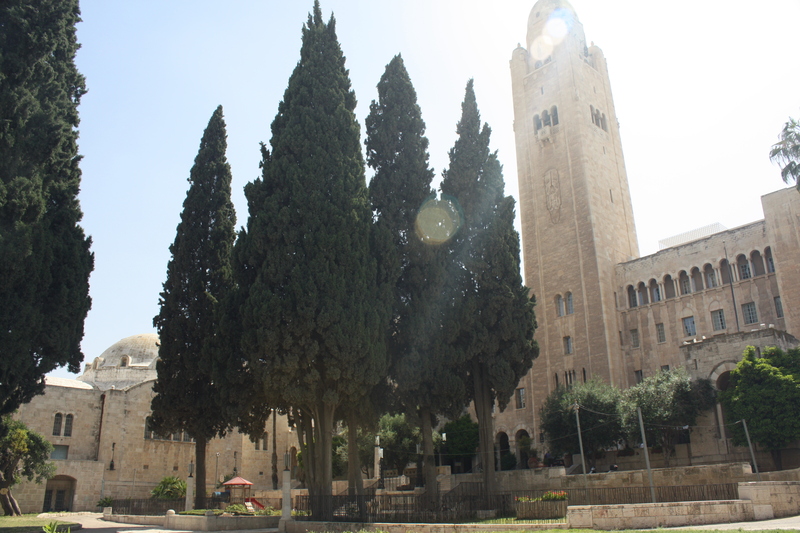 12 Cyprus trees in the forecourt stand for the 12 tribes of Israel, the 12 disciples of Jesus and the 12 followers of Mohammed (how thoughtful of them all to be so consistent!) 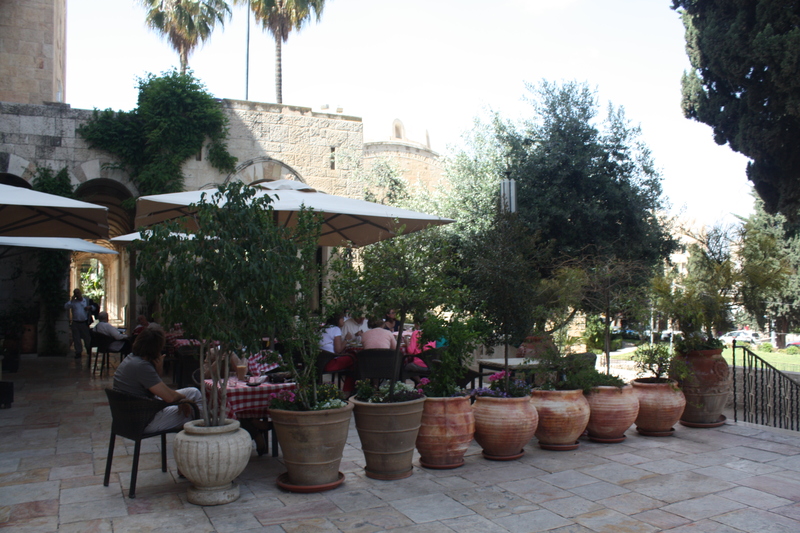 It being the YMCA (which of course stands for Young Men’s Christian Association), Christian symbols do seem to be in the majority (or perhaps I was just more attuned to them). 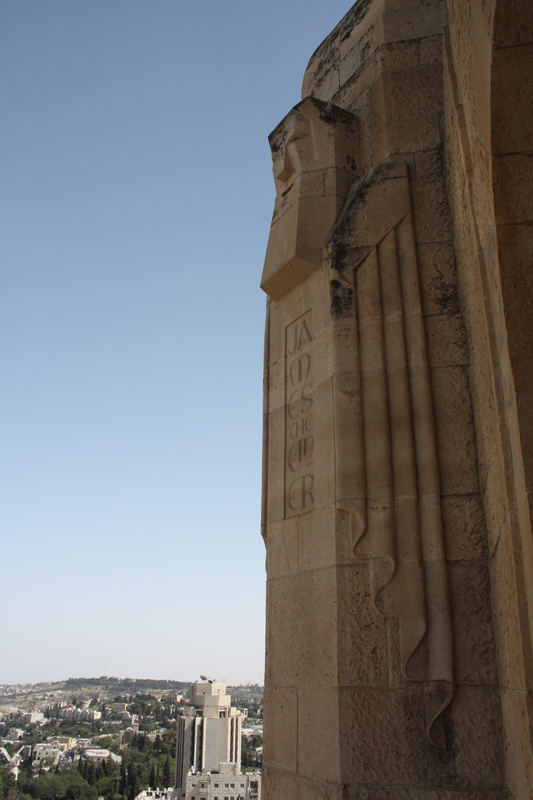 There are numerous references to Jesus inscribed in the stone and his twelve disciples can be found looking on in stylised Art Deco atop the tower. 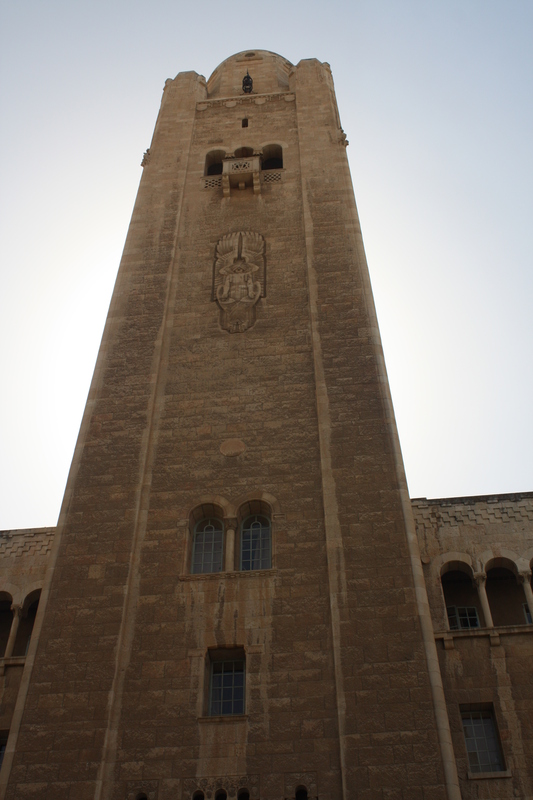 You can ascend the tower for 10 NIS to enjoy what my guidebook promises is one of the best views in Jerusalem. 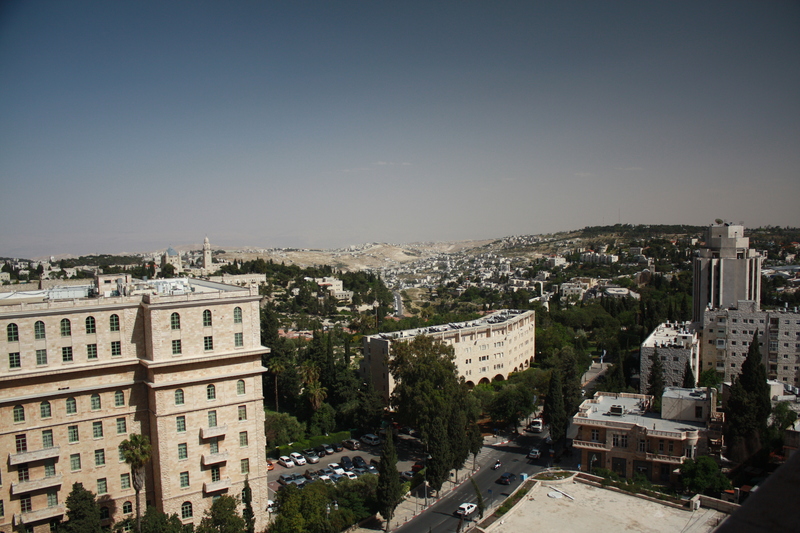 It’s certainly impressive – not only can you see the Old City, and the Mount of Olives beyond, but you can also catch a view into the construction site of the Museum of Tolerance, glimpse a settlement or two and follow the serpentine separation wall as it wreaks quiet havoc over the not-so-distant hilltops.